All of our event venues at the park are cherished historic sites and protected ecosystems. We have a big responsibility towards protecting their integrity and beauty for everyone to enjoy. Below are rules and regulations to keep in mind when considering our venues. Winery Ruins and Beauty Ranch Meadow: Event time is five hours, 5 pm–10 pm, for weddings one hour of rehearsal time the day prior is allotted, five hours of set-up time, one hour of breakdown time. Oak Grove Picnic Area: Daytime event hours are from 10 am to 3 pm and evening event hours are from 10 am to 8 pm. To provide the highest level of service for your guests and to ensure compliance with the park regulations we require that you select vendors from our preferred list. We are happy to consider a new vendor but must be able to do so prior to you contracting with them. View a list of our preferred vendors here. If any beer, wine or spirits are to be served at the event you must provide liability insurance. If beer, wine or spirits are being sold at an event liquor liability insurance is required in addition to an ABC license to sell alcohol. We require that you provide liability and property insurance coverage in the amount of $1,000,000.00 for the day of the event. 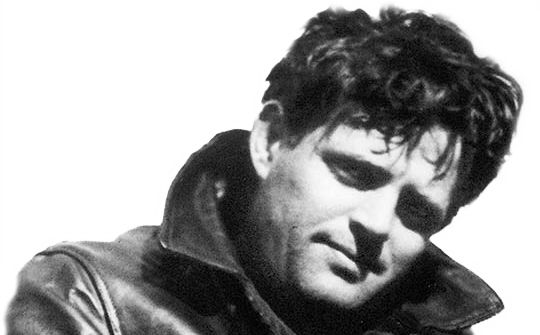 We require a certificate of insurance naming Jack London State Historical Park as additional insured. The speed limit is 12 mph on all roads inside the park. Any vendors in violation to this will be asked to leave the park. There is one portable restroom in the upper parking lot and one located in the Eucalyptus Grove area. We strongly recommend that you rent units for your events. There is (1) 50-amp circuit, and (1) 20-amp circuit available to you for use at the winery ruins only, any additional power will need to be brought in through rented generators. All other sites at the park require a generator for power. Sites fees for evening events include lighting in the parking lot and along the pathways. Any additional lighting is the responsibility of the client. All music must end at 10 pm sharp for evening events. Amplified music is allowed in Winery Ruins and Beauty Ranch only. Acoustic music is allowed in the Oak Grove Picnic Area. Nothing is to be affixed to or leaned against the buildings. If tents are used, they must be secured using weights. No stakes or anchors may be driven or dug into the ground. Hanging or stringing décor from trees is not permitted. No rice, birdseed, glitter, confetti or any other object that may harm the natural ecosystem is permitted. There is no smoking permitted anywhere except for the parking lot areas. We welcome pets but they must be on a leash at all times for the protection of other wildlife habitats. A non-refundable deposit of 50% of the site fee is due at time of booking. Accepted forms of payment are cash, cashier’s check or credit card. The remaining balance of your site fee, and any other additional charges per Jack London State Historic Park contract is due (60) days prior to the scheduled event date.